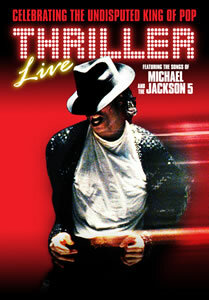 Guide to the stage musical "Thriller Live"
This page is a brief guide to the stage musical Thriller Live. 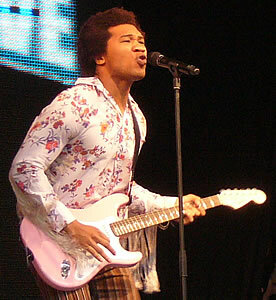 This features the songs of Michael Jackson and the Jackson 5. 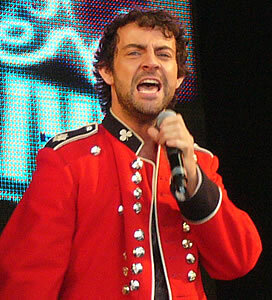 It opened in London's West End in January 2009. The Jackson brothers and sisters (from eldest to youngest) are: Jackie, Tito, Jermaine, Marlon, Michael, Randy, Rebbie, LaToya and Janet. The family come from the state of Indiana in the USA. 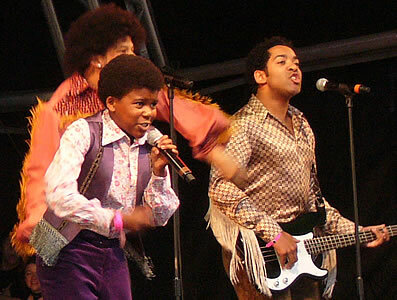 Initially the three eldest brothers formed a group called The Jackson Brothers, before Marlon and Michael joined and the band became The Jackson 5. 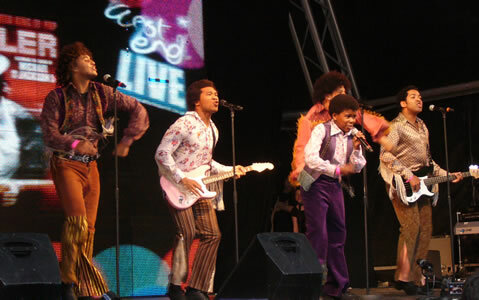 Following a change of record label the name was changed to The Jacksons, and Randy replaced Jermaine in the group (Jermaine rejoined later). In the early 1980's Michael started working increasingly on solo material, in particular producing the album Thriller (the world's best-selling album of all time) in 1982, and he left The Jacksons in 1984. 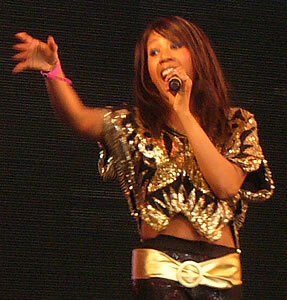 Janet Jackson, the youngest member of the family, has also become a highly successful solo artist. Michael Jackson died on 25 June 2009, shortly before he was due to perform a series of 50 concerts in London's O2 Arena. The origins of Thriller Live can be traced back to The Annual Michael Jackson Celebration, a tribute concert organised by Adrian Grant each year starting in 1991. The first half of the show focuses on the period up to 1982, featuring songs by the Jackson 5 and some of Michael's early solo performances. The second half is a tribute to Michael Jackson's most successful period from 1982 to 1995, featuring songs from his albums Thriller, Bad and Dangerous. 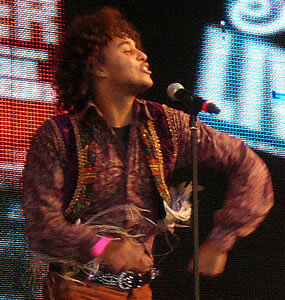 The photos below of the Thriller Live performers were taken at the West End Live event in June 2009. Thriller Live is being performed at the Lyric Theatre. The address is 29 Shaftesbury Avenue, London W1D 7ES (nearest Tube: Piccadilly Circus). It is located between the junctions of Shaftesbury Avenue with Great Windmill Street and Rupert Street. The running time (including the interval) is about 2h15. The main songs in the musical are listed below. Click on the links to hear the song and watch a video. English: There is not much spoken English during the show - it is mainly a show combining song and dance. So you can enjoy it even if your English ability is limited.